One gets off to a flying start to the Generation Table, as always, by consulting Bill Kaulback's family history The Kaulbacks (1979), in this case on p 105, but additional details can then be found in, for example, www.british-towns.net/sh/statelyhomes_album.asp?GetPic=175). But for full authentication of these two sources I have relied on 'the Sneyd family tree' displayed in www.ancestry.co.uk. The ancient family of Sneyd, which has continued during seven centuries in direct male descent from Henry de Sneyd, who lived in the reign of Edward I, was originally seated at Bradwell, in the parish of Wolstanton, Staffordshire, but relocated, in the reign of Elizabeth I, to Keele, which remained the chief family residence until the mid twentieth century. The Manor of Keele had been granted by Henry II in 1180 to the Knights Templars, and on the suppression of that order it passed into the possession of the Knights Hospitallers, who held it until their property was confiscated, at the Reformation, by Henry VIII, who sold Keele to Sir William Sneyd of Bradwell in 1544. His son and heir, Ralph Sneyd, then undertook the construction of what was described as "a very proper and fine house of stone," completed in 1581. The family history was for almost four hundred years synonymous with that of Keele Hall, and an account will be given below, following the Table itself. Before doing so, we must confront a couple of tricky issues – how is the surname spelled, and how is it pronounced? Both aspects of my own surname are almost infinitely various, but here there are just two options in each case: Sneyd or Sneyde? "Snayd" or "Sneed"? Option #1 gets Wikipedia's vote in both cases, though I've only ever heard the "Sneed" pronunciation in family circles. Hoots toots. In the London Gazette of 27 Apr 1950, Maj Henry Howard, as he then was, my wife's maternal grandfather, officially changed the family name to Howard-Sneyd, as it remains to this day. This was presumably at the suggestion of Col Ralph Sneyd, prior to his death the previous December, that the family name of Sneyd should thereby be perpetuated. Not only had he no male heir to carry on the name, but there was evidently none in any of the collateral Sneyd lineages either. Crucial to the deal was of course that Henry Howard did indeed have a son himself by his second wife, as we shall see in the Howard Connection. And as quid pro quo, Ralph Sneyd evidently made available very substantial financial provision (directly, perhaps, or indirectly via a bequest to Henry Howard) for that son, Tom, in his will – according to Wikipedia1, 2, he had sold Keele House and the entire estate to the Government in 1948 for the establishment of the University College of North Staffordshire, which in 1962 became Keele University. The University website gives a somewhat different chronology in which the sale only took place after Henry Howard's death in 1950, which would of course have occasioned an unfortunate additional levy of death-duty. This depiction of the hall is from the 1686 engraving by Michael Burghers, published in Robert Plot's The natural history of Staffordshire (Oxford, 1686). Click here for an interesting pictorial history of the house itself and the landscaping of the estate. Keele was plundered during the Civil Wars, and narrowly escaped demolition by Cromwell's troops, when its then owner, Colonel Ralph Sneyd, who was a devoted adherent to the cause of King Charles the First, suffered heavy losses on account of his loyalty. 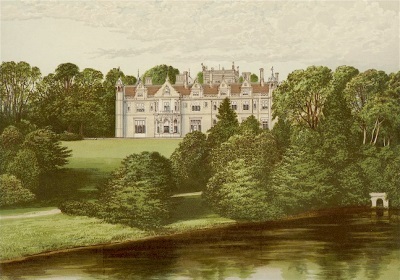 The old hall was finally taken down in 1855, by the late Ralph Sneyd, Esq., who re-erected on its site, and in the same style of architecture, the present noble mansion. 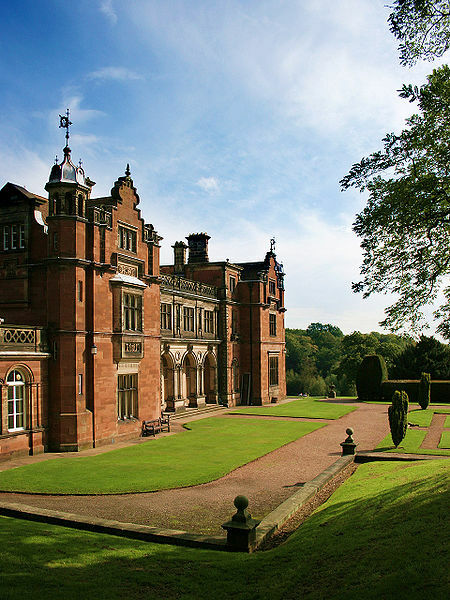 Keele Hall is built of a pale red sandstone, relieved with white stone. It is finely situated on elevated ground, commanding extensive views to the south and west, and is surrounded by a well-wooded park of six hundred acres. The gardens and pleasure grounds are extensive, and well kept. The house, which is entered from a court, through a spacious hall, thirty feet high, and hung with family portraits, contains a fine suite of rooms, richly furnished and decorated, and stored with many precious works of art. The library is extensive and valuable, comprising a rare collection of ancient manuscripts. The house also contains a good collection of pictures by the old masters; amongst which may be mentioned original full-length portraits of Cortez; of King Henry the Eighth; Charles the First, by Honthorst; a Duke of Ferrara, by Zucchero; Lorenzo Priuli, Doge of Venice, by Tintoretto; Ralph Sneyd, the builder of the old house, by Cornelius Jansen; two portraits by Sir Joshua Reynolds; besides many choice cabinet pictures of the English, Flemish, and Italian schools. It would be nice to think that these art treasures could still be admired today – but many were sold-off by the last owner 'Sporting Ralph' Sneyd, of whom we may read below. The architecture and landscaping are thankfully unaltered, however, I believe. The Keele estate was originally purchased by William Sneyd in 1544 and was owned by the Sneyd family for over 400 years. 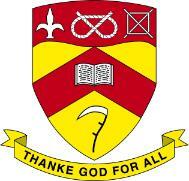 The family dates back further to the 13th century as a minor branch of the powerful Audley family in Cheshire. The Sneyd coat of arms featured a device of a scythe to identify them in battle – the word for a handle of a scythe is a sned – offering the opportunity for a pun on the family name. One Sneyd fought in the victory over the French at Poitiers in 1356 and was awarded the French royal emblem of the fleur-de-lys to add to the scythe as a battle-honour. The Sneyds were successful drapers and merchants in Chester and some took up law, two of them becoming Recorder of Chester. They were even more successful at marrying wealthy heiresses and from the fourteenth to the sixteenth century the family grew in stature. After the dissolution of the monasteries by Henry VIII, Sir William Sneyd bought the Keele estate and other lands in 1542, beginning the long Keele connection. William's son, Ralph Sneyd, built the first Keele Hall in 1580. Little or nothing remains from this time apart from the quarry – referred to sometimes as the amphitheatre – and some very elderly trees. During the Civil War, the Sneyds took the King's side but fared badly in this predominantly Parliamentarian area. Colonel Sneyd was killed in the war and the family fell into a decline. After two centuries of comfortable but comparatively modest living, the Sneyds moved up in the world during the 19th Century. Lt-Colonel Walter Sneyd was a Member of Parliament from 1784 to 1790 and commanded the Staffordshire Militia, which served for thirteen years as a bodyguard to King George III at Windsor. Sustained by substantial food parcels from Keele, the good Colonel managed to hold onto his expensive post and accrue advantages for the family. His children were brought up at the Royal court and the King and Queen were their godparents. Education at Eton and Christ Church, Oxford, followed for the fortunate offspring and the family enjoyed a closer familiarity with the enormously rich Sutherland family (who lived nearby at Trentham). The gardens were landscaped during the 1820s and 1830s and the Springpool woods planted; the seven lakes, the holly hedge, the white well, the Italian garden, the sunken garden and the fountain were also created around this time. The small boathouse on the first lake was also constructed. Most of these elegant heritage features remain intact, have been restored or are scheduled to be restored. Ralph Sneyd succeeded to the estate after the Colonel's death in 1829. Ralph stayed at Claridge's in London (as was right and proper for a gentleman of apparent – if not actual – means) and stayed frequently among the wealthy and aristocratic families of the realm. However, he invested with a persistent lack of success in coal mines and other ventures. His first agent managed affairs poorly at Keele so increasingly extreme financial measures were required to remain afloat. After 1848 Ralph engaged a new agent whose probity and efficiency restored the estate to a much healthier footing. Ralph Sneyd remained a bachelor and his main occupation became the management and improvement of the estate; he constructed or repaired farm buildings, improved the lakes, planted trees and altered the roads. 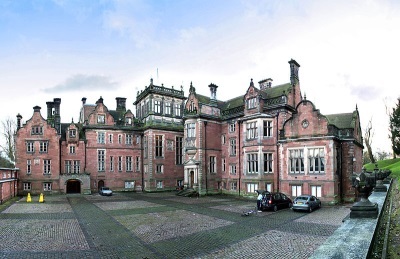 The old hall had fallen into such disrepair that it had been in danger of collapse for decades but the upturn in the estate's fortunes enabled Ralph to achieve in 1855 his dream of rebuilding of Keele Hall, at the age of 69. He completed the project in 1860 and the existing Keele Hall is largely the result of Ralph Sneyd's work, with a very few survivals from earlier times. In 1870 the estate passed to Ralph's famously idle brother, Rev Walter Sneyd. Walter was so exhausted in God's ministry that he retired to a comfortable but busy indolence in his mid-twenties. He went on to collect rare books and manuscripts and established one of the most notable private libraries in the country. 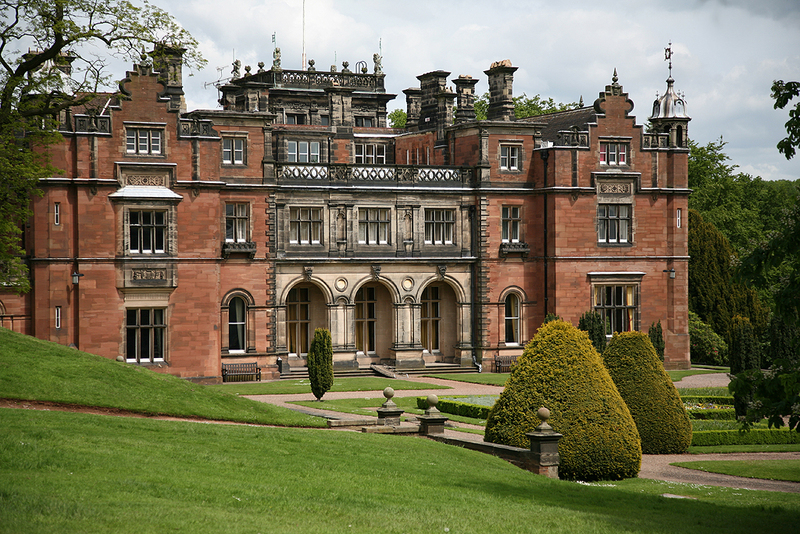 Walter's son Ralph threw a notable party for three thousand people at Keele Hall when he attained his majority. He also found time to race horses and to lead the local Hunt. "Sporting Ralph" was the last of the family to reside at Keele, although he actually lived away for much of the time. He founded the Keele Park racecourse and built breeding stables (now the Clock House buildings) and even a railway station for the convenience of race-goers. The Keele racecourse was located to the right of Clockhouse Drive, facing away from the Clock House. The home straight is now under the M6. In 1907 Uttoxeter Racecourse was built and opened by a company formed to take over the interests and licence of Keele Park Racecourse which had recently ceased to operate. 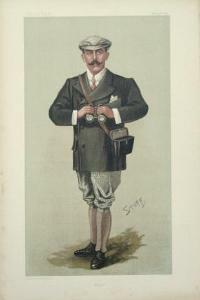 "Sporting Ralph" continued as a Victorian gentleman at the end of the nineteenth century should – a world tour, a new yacht, shooting-parties with the King, horse-racing, three wives and an expensive divorce. He seldom visited Keele although it seemed to "possess every qualification which could be required in a country seat". In 1902 there was a severe reversal of future – an economic slump coincided with the expiry of the lease on the Silverdale coal mines. Legal disputes over the condition of the mines continued for years and heavy financial losses were incurred. From 1901 to 1910 Keele Hall experienced a brief renaissance when it was rented to the Grand Duke Michael of Russia, a cousin of the Tsar. He had been exiled from Russia for marrying below his station and dismissed from command of his regiment in disgrace. His wife was given the title of Countess de Torby by the Grand Duke of Luxembourg in an attempt to elevate her status. She was grand-daughter of the Russian poet Alexander Pushkin and, through him, a descendant of Peter the Great's African slave Abram Hannibal. The Grand Duke indulged his passion for the life of an English country squire and took a full part in the Keele community – for example, as Governor of Keele School and as patron of the cricket club. The Bolshevik Revolution prevented his return to Russia and he died in 1927. Ralph lived on in the south of England, serving as Colonel of the Staffordshire Yeomanry. 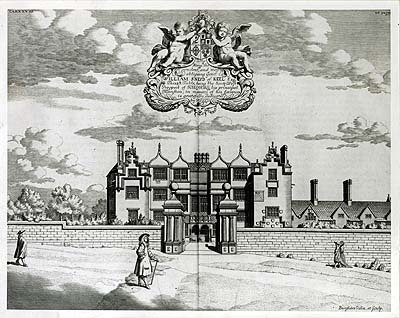 In his absence, the Sneyd family's association with Keele – so glorious in the 17th Century and revived briefly in the late 19th Century – gradually dwindled in the face of an expensive social life, economic failure and indifferent absentee ownership. The house which had been rebuilt on the grand scale for the family's successors served it for only one more generation. Ralph sold many of the treasures of the house and when he died in 1949, his eulogy, as he might have liked, revered him as "a fine sportsman, a keen fisherman and expert shot". In other respects he was less successful – three marriages produced no children. In 1939 the deteriorating house and estate were requisitioned by the military for war. The Hall was occupied and dozens of temporary buildings were erected to house troops – most of whom were in transit. Forces evacuated from Dunkirk in 1940 were certainly passed through Keele and American forces were stationed later in the war (many of the accommodation huts were of an American design far superior to their British counterparts). After the war the base was converted into a transit camp for refugees. 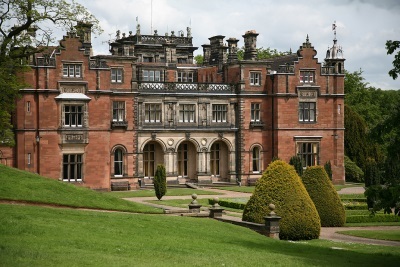 The estate was finally acquired in 1949 to become the home of the newly created University College of North Staffordshire, later to become the University of Keele. The estate eventually passed to a sister's son, Major Henry Howard, but his early death left the estate liable to double death duties and forced the sale of the estate. This financial collapse to all intents and purposes brought an end to the Sneyd connection with the Keele estate.